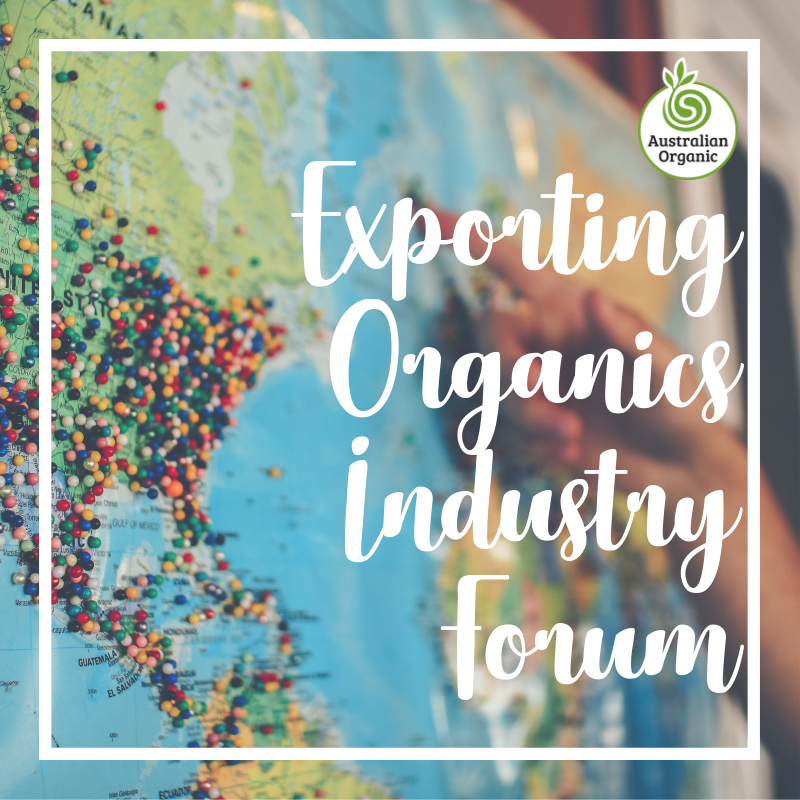 What are the key export markets for Organics? 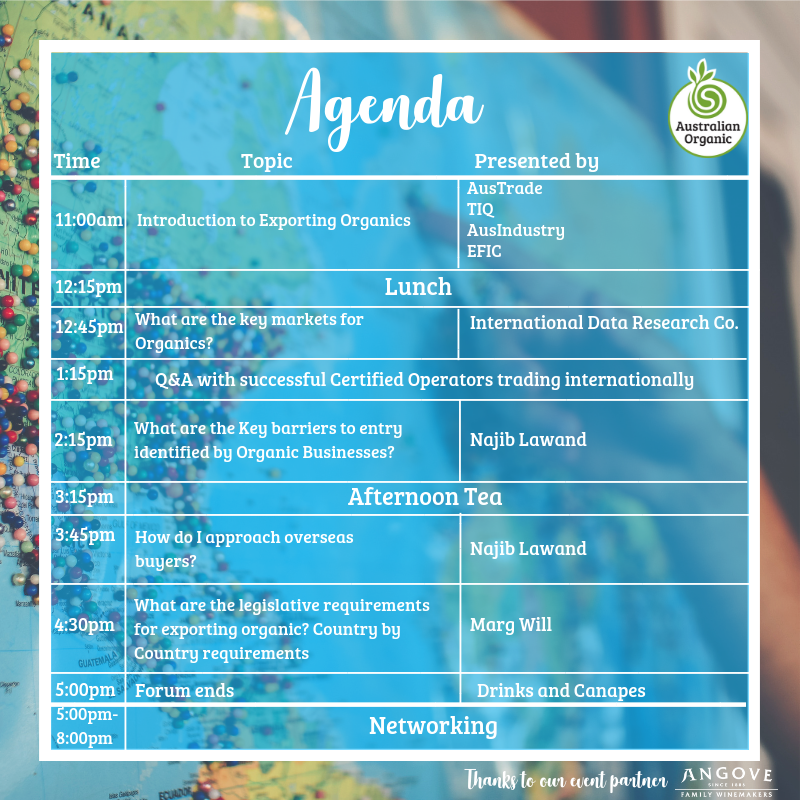 What are the barriers identified by Organic businesses? How do I approach Overseas buyers? 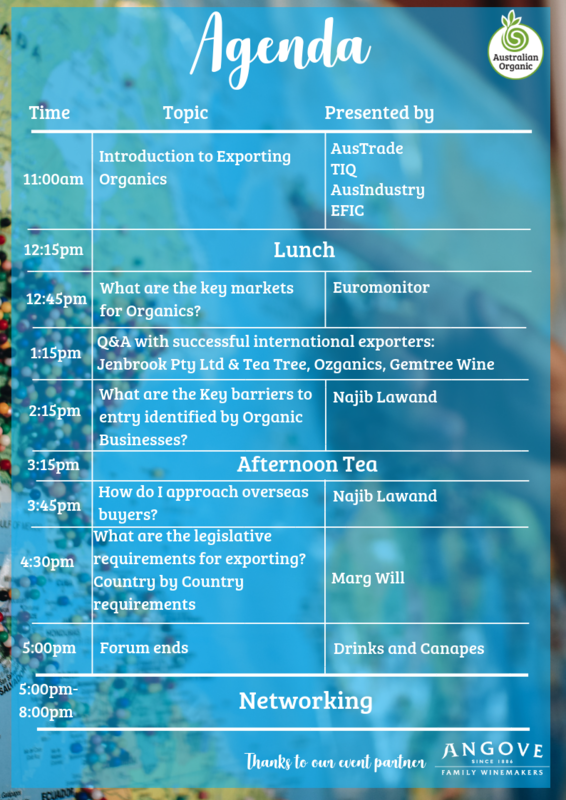 What are the legislative requirements for exporting Organic? 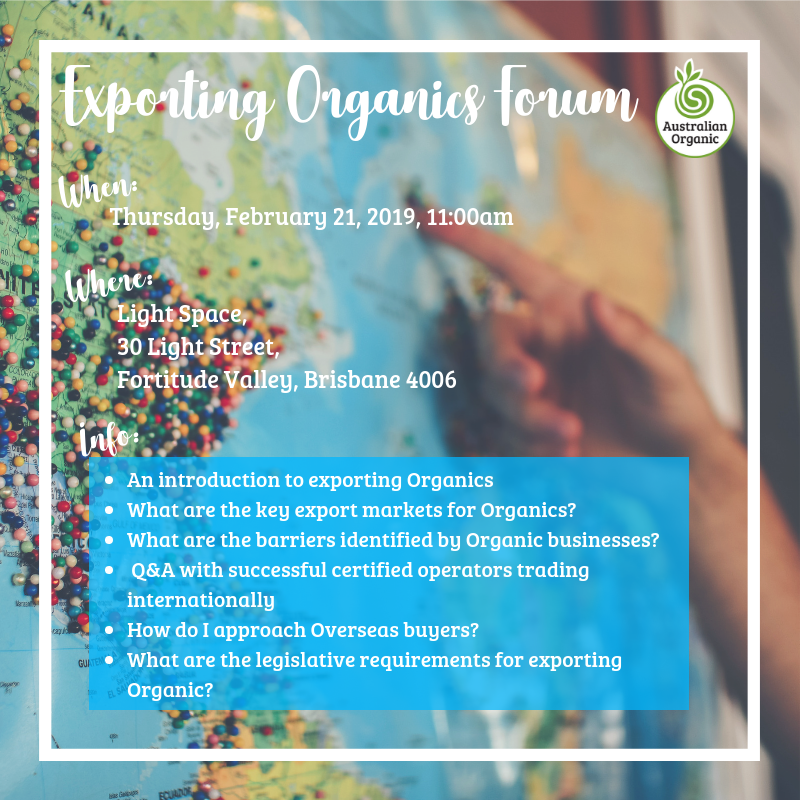 Join us in Brisbane for our industry forum 'Exporting Organics' and meet other members of the Organic Industry at our networking event following the forum. ATTENTION AUST ORGANIC MEMBERS: To access the members price of $69/ ticket please ensure you enter the discount code to the 'discount box' on the final payment screen.